It turns out that leaving Budapest is a little more difficult than I had first imagined. 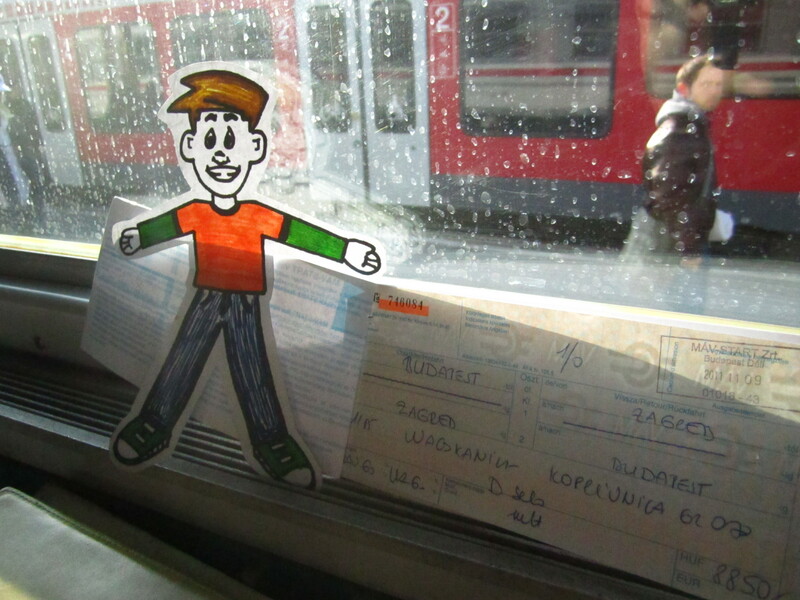 After my first failed attempt landed me in Austria for 2 days (a story for another time) and returned me back to the arms of Budapest, I decided to take the easy way out and get on a train. It turns out that this options was also not without adventure. As we approached the Croatian border, the train slowed, and then slowed some more, and a little more until we were pretty much in crawl mode. We finally made it to the border, where the Immigration team came through with their scanners and stamps and cleared us from the Schengen Area and welcomed us into Croatia. We were then told that the train “had some problems” so we were to unload, take a bus for 15km and then get on a new train. This doesn’t sound all that sketchy, but when they wanted us to put our bags on one bus and ourselves on another, we all got a little antsy. We ended up taking the same bus as our bags and managed to arrive in Zagreb without any additional weirdness. Once in Zagreb, I found myself a partially functional SIM card and made my way to the home of Marko and Luka, my new Croatian friends. Marko had just returned from 4 months travelling in the USA so we stayed up late chatting about travel, swapping stories and snacking. The next day, my body decided that it was time for a break and I spent the day lounging until Marko came home. We had lunch delivered…what a concept! This had to be the biggest Gyro I have ever seen in my life. I gave it my all, but wasn’t able to finish the whole thing (for those of you that have seen me eat, you know that this had to be massive!). We then hung out in a food coma for a little while before getting spiffed up for a night on the town. What a blast! 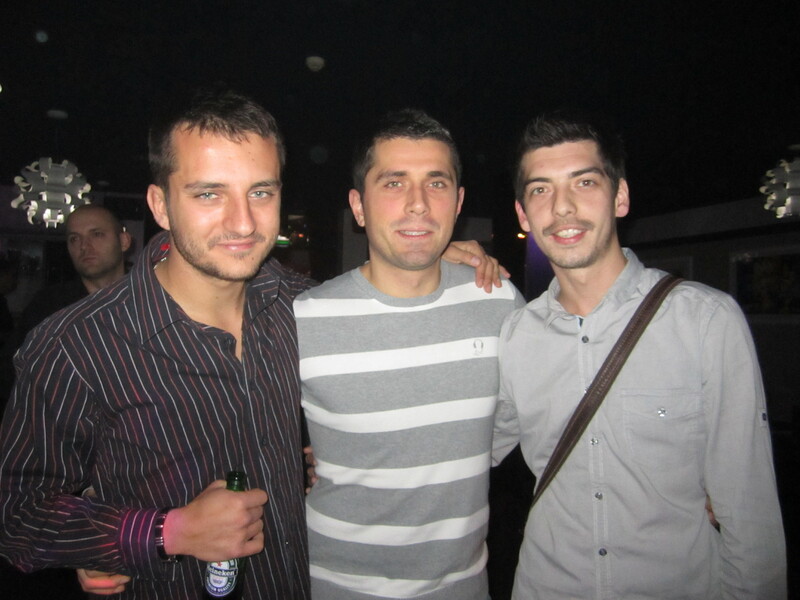 My next night in Zagreb was spent watching the most important Croatian football match this season…Croatia vs. Turkey. It was a rematch to a disastrous loss last year which Croatia turned around into a massive victory this time…so we celebrated! I was a little slow getting moving the next day, so I decided to skip my planned stop at the National Park and head straight to Split on the Dalmatian Coast. What an am amazing train ride! The Croatian countryside is like a dream come true for a geo-geek like me. The combination of golden forests with fresh blankets of leaves partially covering the karst landscape, the mountains dotted with small stone houses, the red and purple of the setting sun and the full moon just above the horizon made this one of the most memorable travel days I have had yet. The next morning, I got to see that not only was the travel incredible, but the destination was also amazing. After a wander through the old castle in town, my friend Mladen and I headed up to a hill overlooking the city and the ocean. What a view! We sat with a coffee and chatted about my plans. I was trying to decide if I should continue south to Albania and take a ferry to Italy, or return to the north and visit Slovenia before heading to Italy. 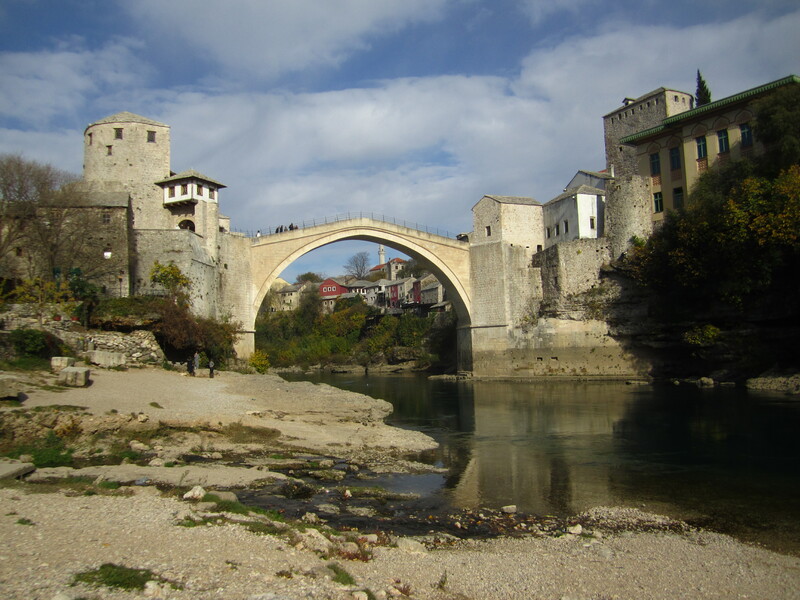 Mladen asked me why I wasn’t planning to visit Bosnia and told me some amazing things about his travels there, so I decided to scrap all the previous choices and head into Bosnia. I am so glad I made that decision! After a chilly (and very early) bus ride from Split across the border, I found myself in Mostar. I dropped my bag in storage and wandered around this ancient town. It had been very badly damaged during the war and the evidence of that is everywhere. I passed one building that had the first two floors completely destroyed, but people were still living on the 3rd and 4th floors. All day, I was amazed by the ability of people to move beyond such horrendous events and not only continue with life, but to be friendly, welcoming and happy. Even with the remaining shells of bombed buildings and bullet holes everywhere, this is a beautiful town with a warmth that is unmistakable. But this was just the start of my Bosnian experience. I got on a bus and headed to Sarajevo, arriving just in time to meet some new friends at a pub for the Bosnia vs. Portugal football match. It didn’t turn out well, but everyone was singing, and celebrating throughout the match, so it was a great night! The next day, I headed to the History Museum which is located across the street from the Holiday Inn where the international reporters holed up during the war. The building of the History Museum still has many bullet holes and bomb scars, as well as no working heat…BRRRR! This was a very simple museum showing the stages of the war, the impacts it had on life in Bosnia, the devastation of Sarajevo and many of the horrors witnessed during that time. It was not easy to see, but I am very glad I went. From there, I headed into the Turkish district and met with the friends from the previous night. We spent the day together and hung out that evening and the next. 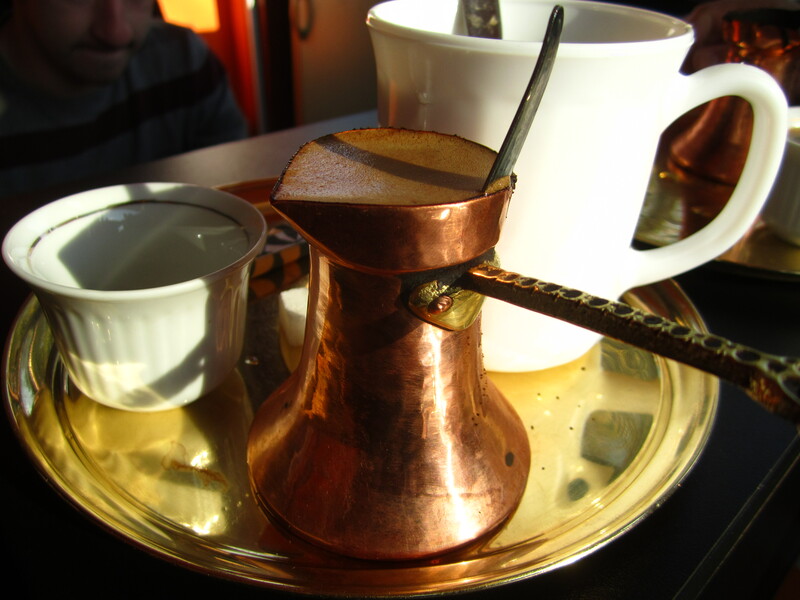 We had a bunch of amazing Turkish (Bosnian) coffee and very yummy food. I also got to see the bridge where Franz Ferdinand was assassinated, leading to the start of the 1st World War. 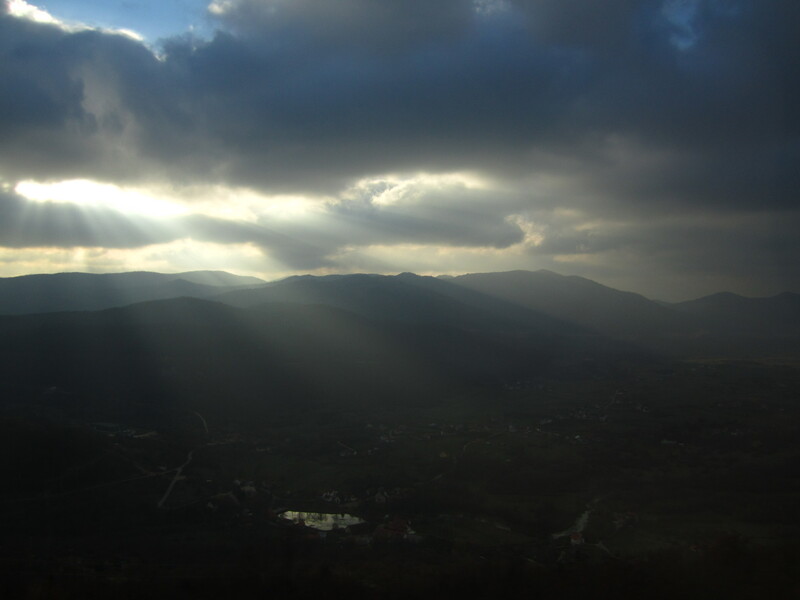 When it cam time to leave Sarajevo, I found it really tough. This is a city that is so welcoming it is difficult to say goodbye. However, I made my way to Bihac for the night before continuing back into Croatia. Back in Zagreb, I met Nicolas, a fellow Canadian who has been travelling through Europe for the last 8 months. 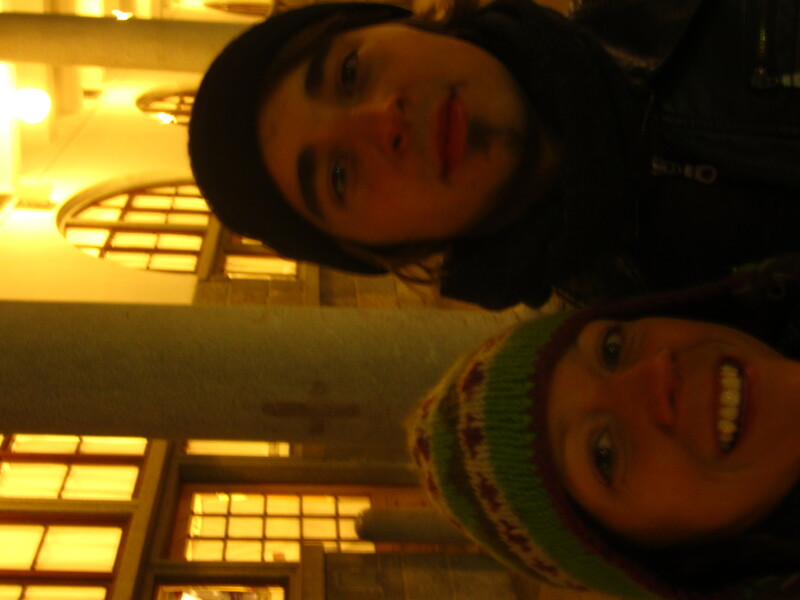 We decided to head to Slovenia together, arriving in Ljubljana in the freezing cold. Here we met Rok, who showed us around the city and let us stay in his apartment. We spent 2 chilly days visiting the castle, the old city, the beautiful bridges and the local squat/skateboard park/artist studio. After two days, we had had a great time, but were getting pretty tired of being cold, so we decided it was time to head for Italy in search of the sun and the warmth! 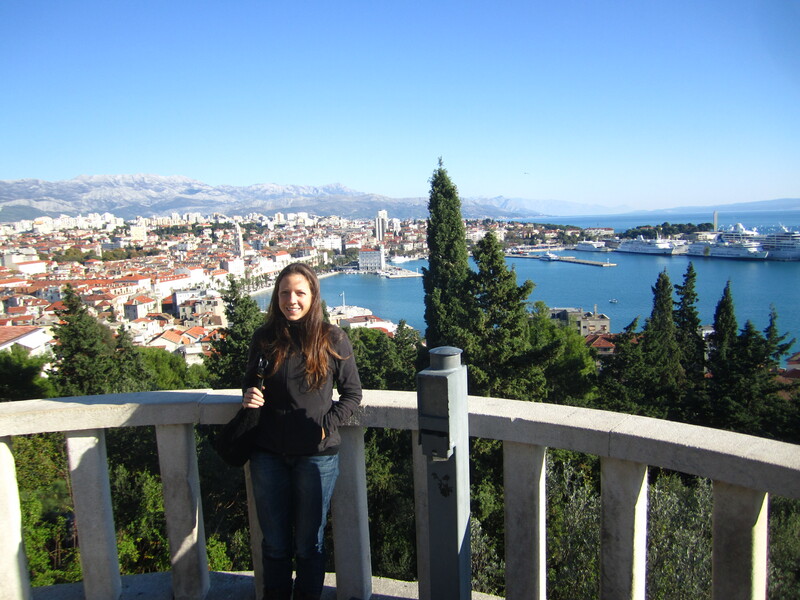 This entry was posted in Traveling and tagged Bosnia, Coffee, Croatia, Kindness, Slovenia, War. Bookmark the permalink. Loved your photos. The countryside is beautiful and the old buildings look very interesting. It appears that Stanley is enjoying his travels with you. Maybe he can be in your book. Love ya!!! Glad to hear Bosnia was such a great experience! Sounds like the friends you are meeting continue to take good care of you! Miss you!